Here we’ll be taking a look at some of the French horses from Willie Mullins’ stables to watch out for at this year’s Cheltenham horse racing. The French gelding Al Boum Photo began the new season in style, winning the Savills Chase at Tramore after being named the favourite. He finished six lengths ahead of the 2018 Grand National favourite Total Recall, who happens to be another of Mullins’ horses. It was his first race since his bizarre exit from the grade 1 Growise Champion Novice Chase at the Punchestown Festival in April last year. Ridden by Paul Townend, Al Boum Photo changed direction under the jockey’s instructions, as Townend believed they were being told to go around the fence. Al Boum Photo collided with Finian’s Oscar and both horses ended up losing the race. He will be racing in the main event of the festival, the Gold Cup. 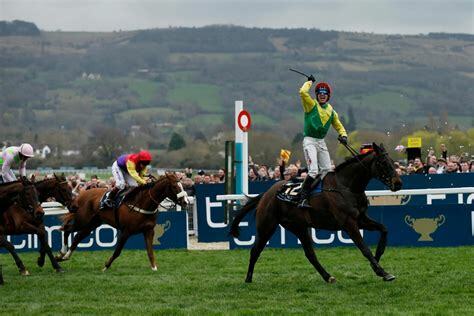 His odds are currently at 12/1 to win the race, which is some way off the favourite Presenting Percy, but it wouldn’t be too unexpected if he were to win the 2019 Cheltenham Gold Cup. Footpad has already experienced success at Cheltenham after winning the Arkle Challenge Trophy Novices’ Chase on the first day of last year’s festival. This year he will be competing on the second day, in the Champion Chase. Footpad is currently the second favourite to win the race at a price of 11/2, but will come up against the Nicky Henderson trained Altior, who is the overwhelming favourite to finish in first place. In his two races so far this season, Footpad has fallen and finished in second place. The fall occurred in the Poplar Square Chase at Naas, where he ran as the 4/9 favourite, while his second place finish was in the Paddy’s Rewards Club Chase, where Simply Ned, the fifth favourite, crossed the finish line just half a length ahead of the favourite Footpad. A mixed bag of results leaves Footpad as an unknown heading into Cheltenham, but sometimes, that can pay off. Scheduled to compete in the Champion Chase on Ladies’ Day, Un De Sceaux will be competing against fellow Mullins horses Footpad, Min and Great Field. Priced at 8/1, he is joint third favourite with Min. He has competed in just one race so far this season, finishing in second place behind the Champion Chase favourite Altior. Prior to his first loss of the season he experienced wins at Punchestown in the grade 1 Champions Chase and the grade 2 Devenish Chase at Fairyhouse. Altior will be a tough horse to beat, but depending on who is the jockey for Un De Sceaux, expect him to put in a good performance.